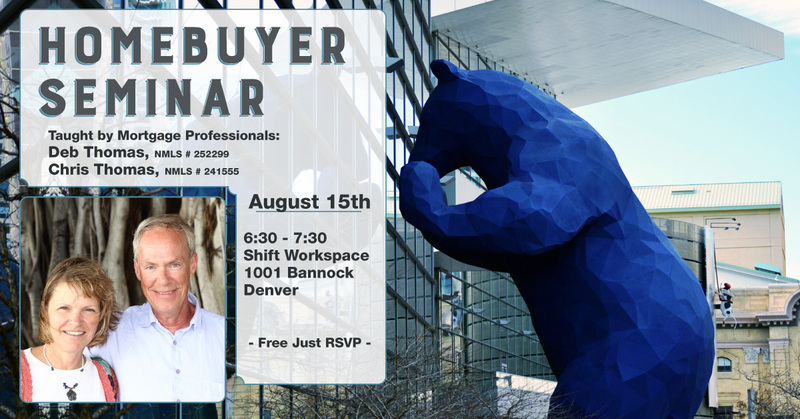 This free small-format class is a great opportunity to learn about lending options available for buying a first home or cashing in and moving up in the Denver market. Taught by veterans Deb and Chris Thomas. Bring your questions and enjoy a sales-free environment to get more comfortable with the ins-and-outs of mortgages, lending products and options, and the situations where it still makes sense to refinance. Have Questions about the seminar? Shift Workspaces at 1001 Bannock St. The event is free but registration is limited, please reserve your spot below. *We promise never to sell or abuse your email address.